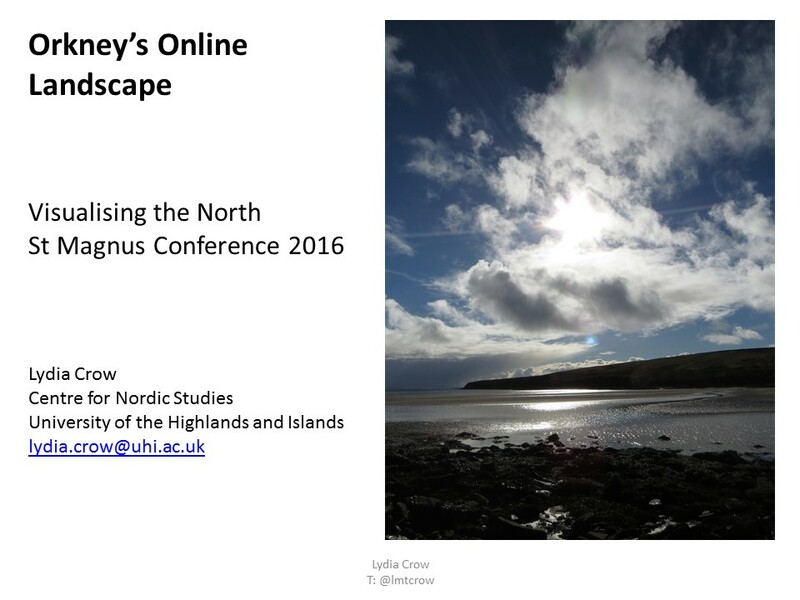 I thoroughly enjoyed presenting at the third international St Magnus Conference (#StMag16), particularly as it was based in Orkney. As the conference was multidisciplinary, with delegates from a variety of academic backgrounds, I took the opportunity to be a little more light-hearted and creative with my presentation. Rather than work through a linear presentation of my previous and current research (is research ever linear anyway?! 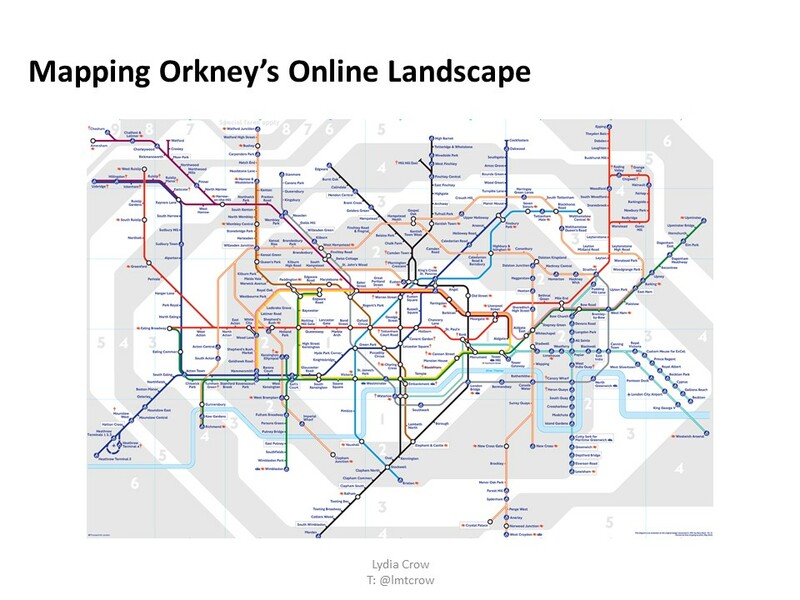 ), I chose to look at Orkney’s Online Landscape more broadly, sharing some of the data I have been looking at online. 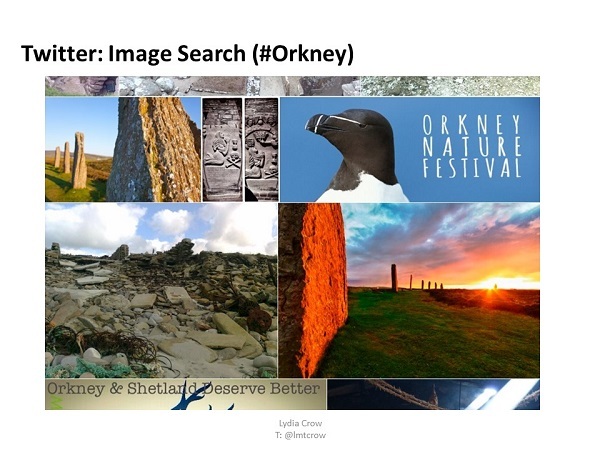 Image of Waulkmill Bay (Orphir, Orkney) by Lydia Crow, taken March 2016 (Slide #1). 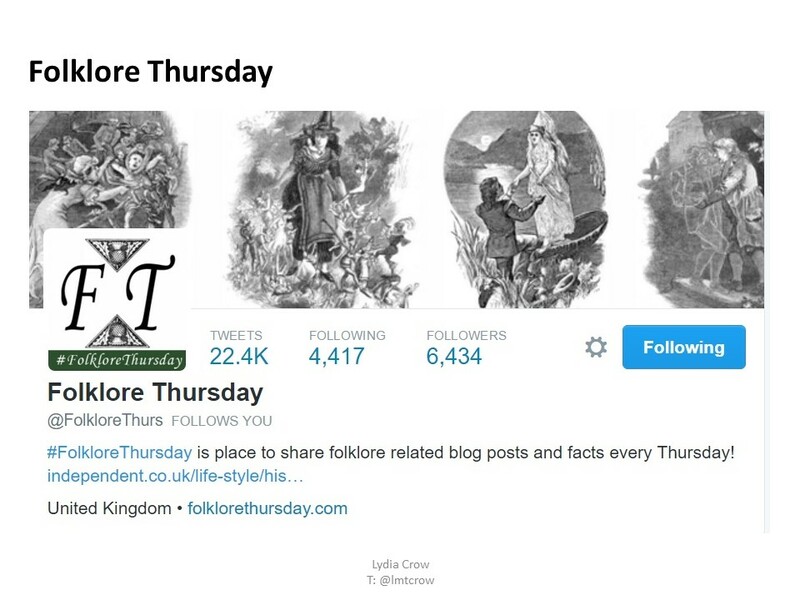 The Folklore Thursday Twitter account can be found online here. Screencap: 15th April 2016 (Slide #3). 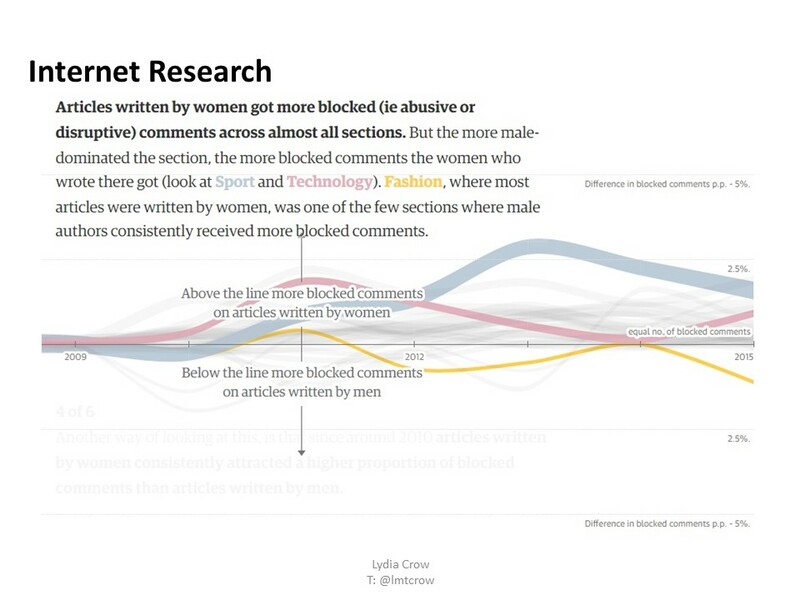 The Guardian article “The dark side of Guardian comments”, published 12th April 2016, can be found online here. Screencap: 15th April 2016 (Slide #4). 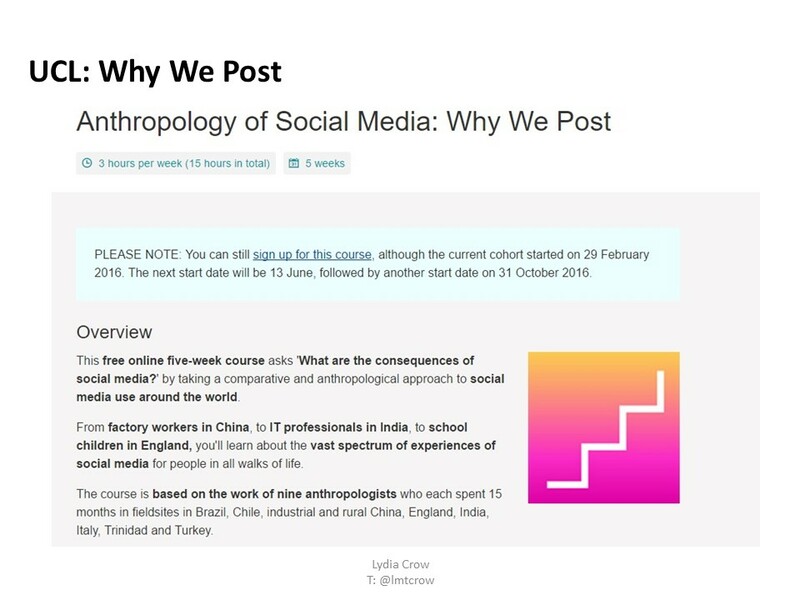 The UCL Why We Post website can be found online here, and further information relating to the free online course can be found online here. 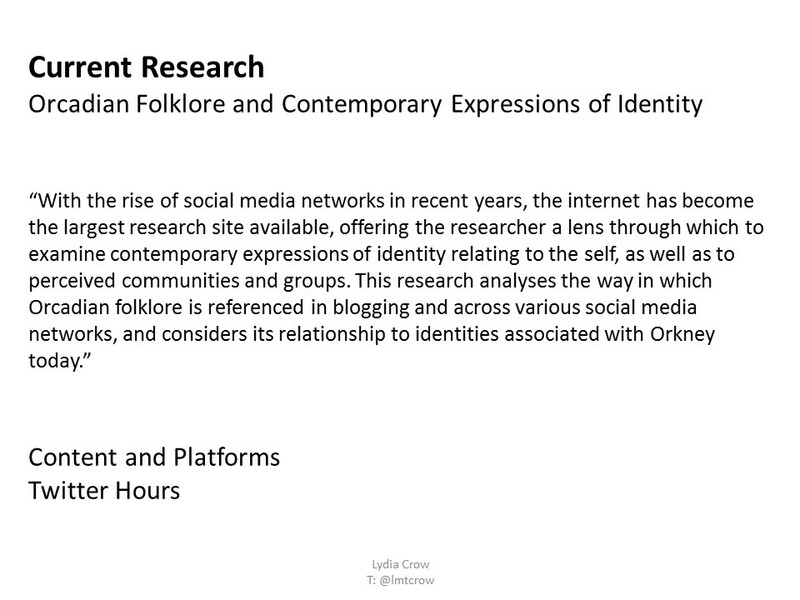 Screencap: 15th April 2016 (Slide #5). Image of London Underground Map can be found on the Transport for London website, online here (Slide #6). The Twitter image search (#Orkney) was screencapped 15th April 2016 (Slide #7). 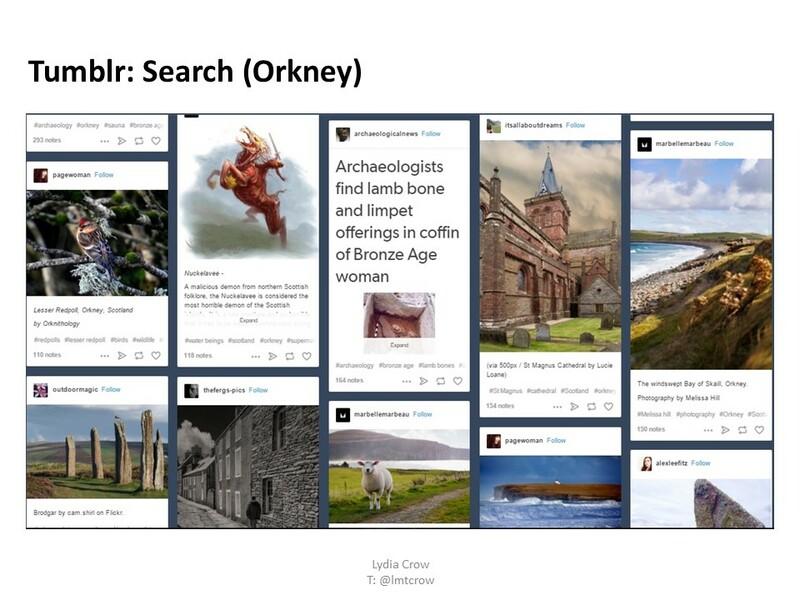 The Tumblr search (Orkney) was screencapped 15th April 2016 (Slide #8). 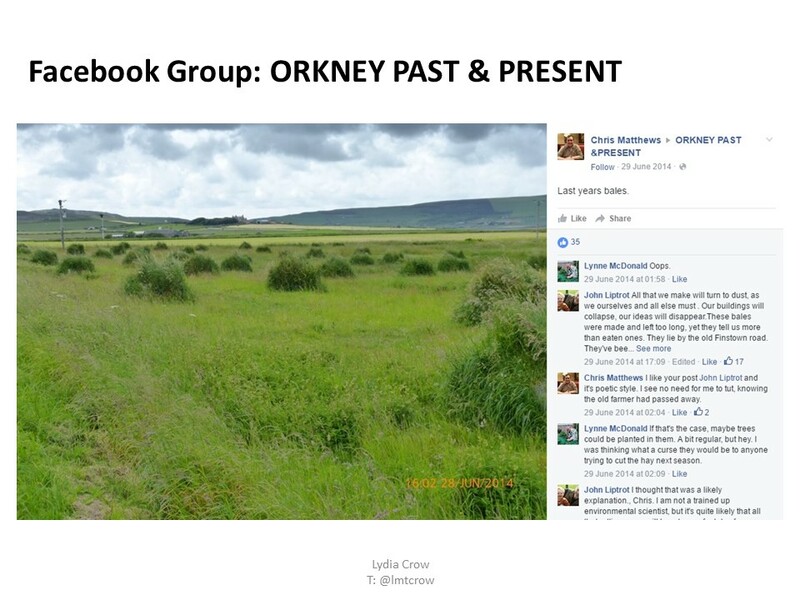 The Facebook Group post in ORKNEY PAST & PRESENT can be found online here. Screencap: 15th April 2016 (Slide #9). 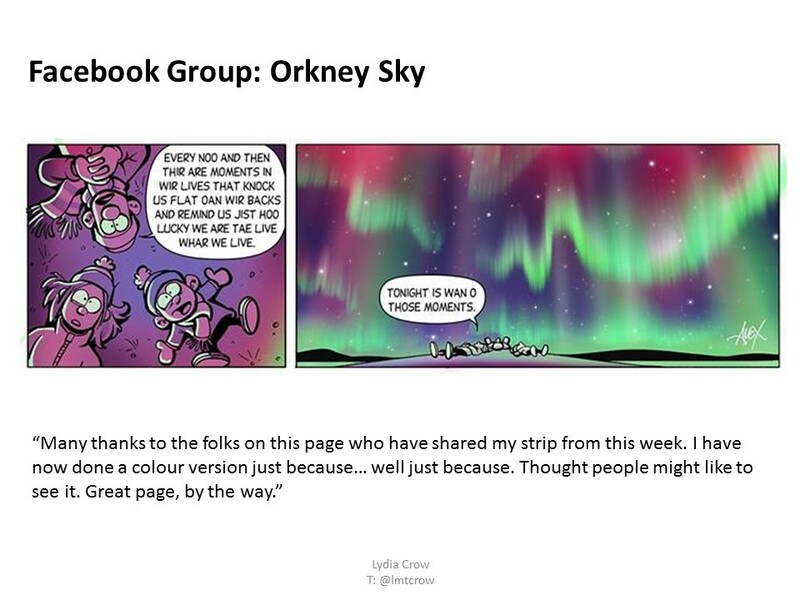 The Facebook Group post in Orkney Sky can be found online here. Screencap: 15th April 2016 (Slide #10). 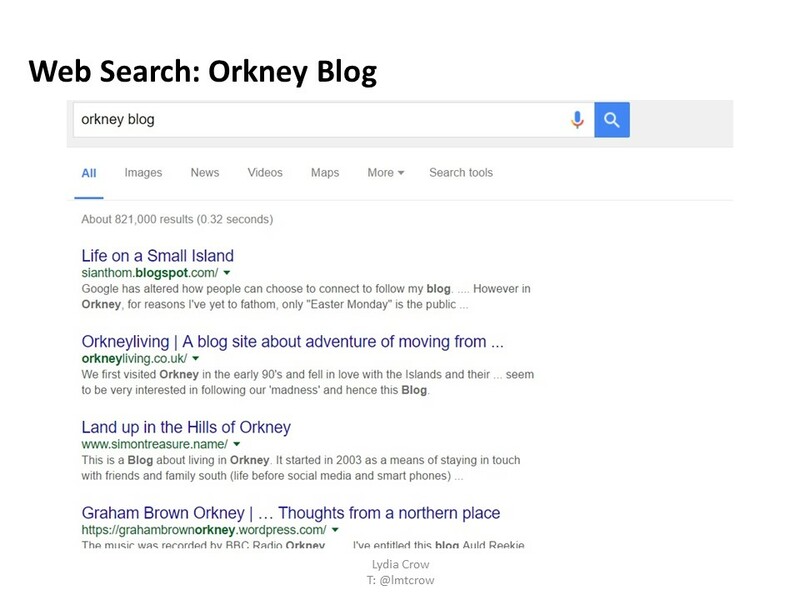 The Google search (Orkney Blog) was screencapped 15th April 2016 (Slide #11). 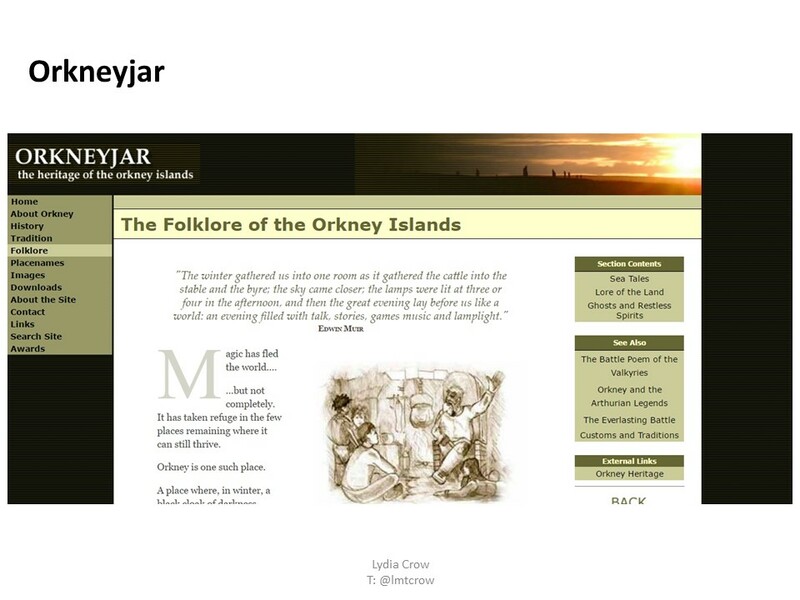 The Folklore section of the Orkneyjar website can be found online here. Screencap: 15th April 2016 (Slide #12). 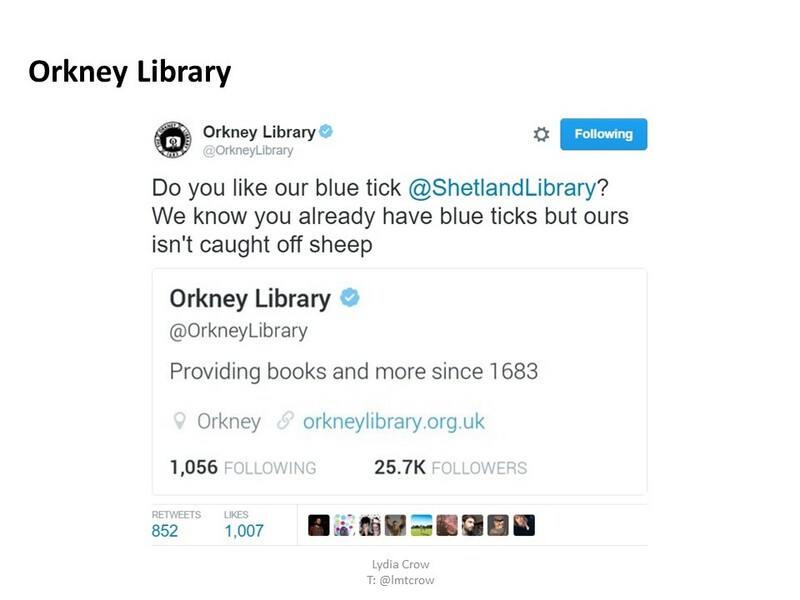 The Orkney Library Twitter post can be found online here. Screencap: 15th April 2016 (Slide #13). 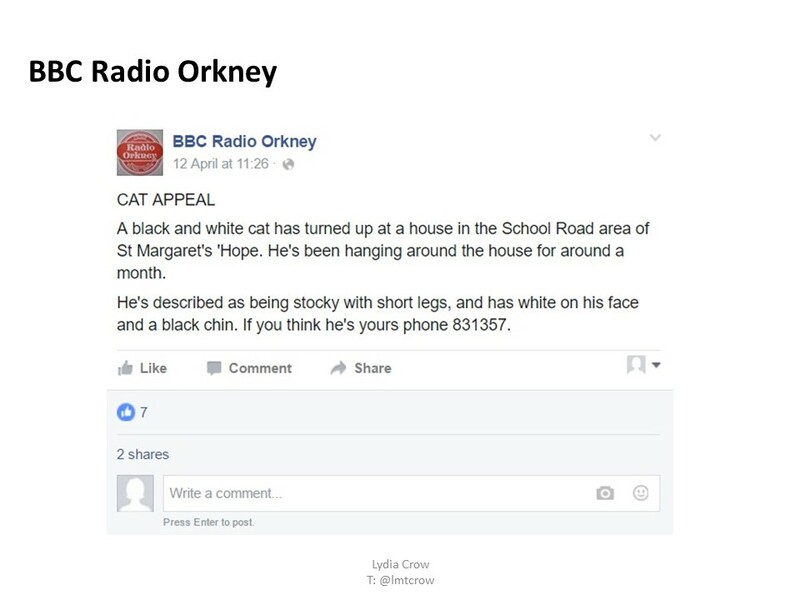 The BBC Radio Orkney Page post can be found online here. Screencap: 15th April 2016 (Slide #14). 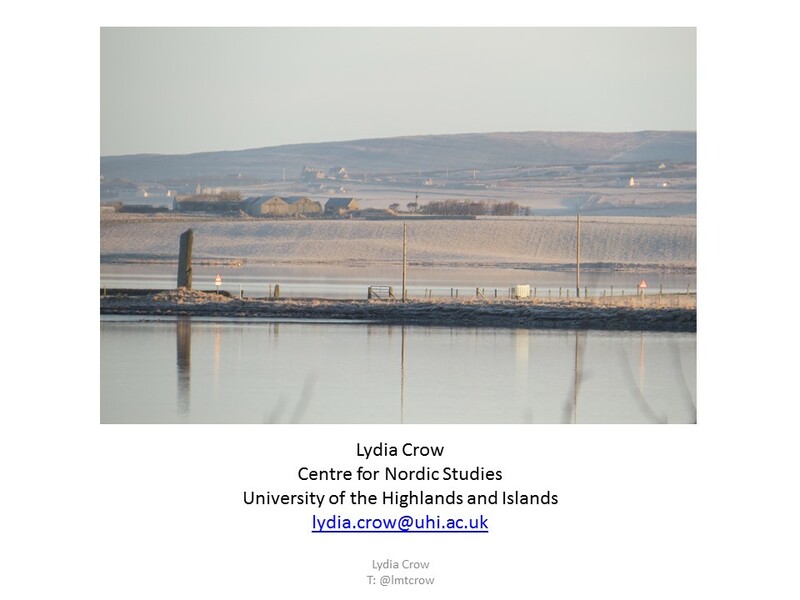 Image of Stenness Loch (Orkney) by Lydia Crow, taken March 2016 (Slide #15).